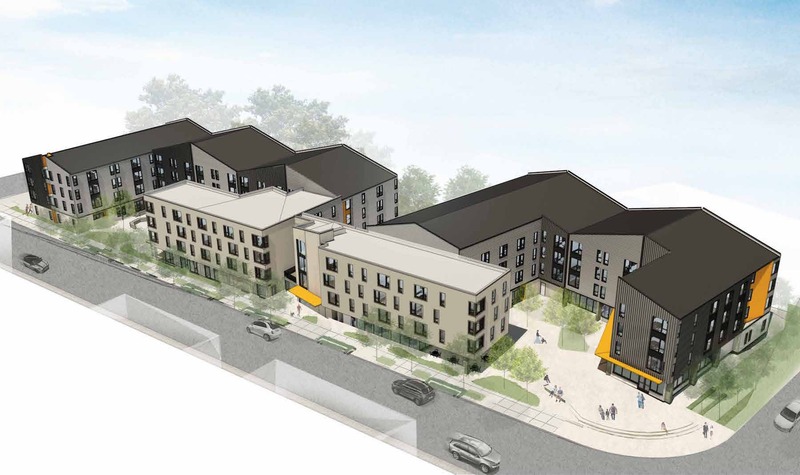 According to the Portland Housing Bureau, Findley Commons will redevelop parking lot space at St. Mark’s church to create 38 units of Supportive Housing focused on underserved veterans. Every week, the Bureau of Development Services publishes lists of Early Assistance applications, Land Use Reviews and Building Permits processed in the previous week. We publish the highlights. This post covers March 11th to March 17th, 2019. The proposal is for a 7-story market rate apartment building of approximately 230 units with 2 levels of below grade parking. Findley Commons will provide 36 previously homeless Veterans with safe, stable, and supportive housing with the planned 100% affordable 20, one-bedroom and 16, single room occupancy (SRO) units. The building will feature an elevator, a vast 2,1000 sf community area and service delivery space, and energy efficient appliances and fixtures. the units are in a single building with two and three stories in height. The zoning is CM2 / R2a and the intent is to conform to the Community Design Standards. Parking for the project and the existing church will include 34 spaces. Amenities include onsite laundry facilities, bicycle parking, shared kitchen, support offices, outdoor patio and storage. 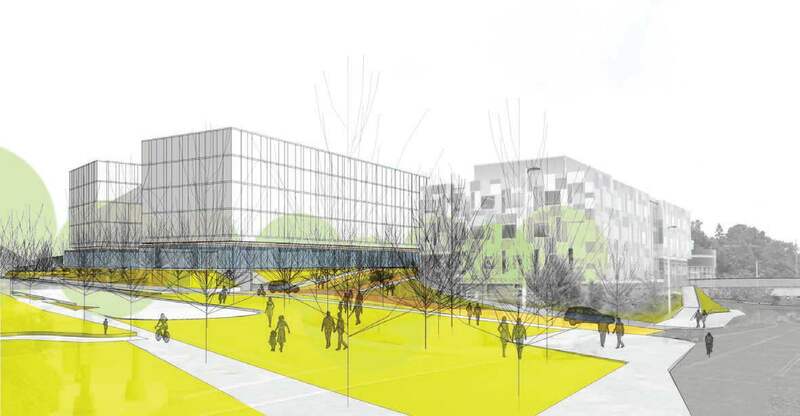 The proposed project is a 30-unit multifamily project across approximately 24,000 sf of living space and 4 stories of living space above one level of parking garage on the R-1 portion of the site. Amenity bonuses will be utilized to obtain the full allowable 30 units. The entire multifamily and parking development twill be limited to the existing parking lot area on the R-1 zoned parcel. The units will be one bedroom units. The R-7 portion of the site wil have the existing improvements (an 8,000 sf assisted living facility) demolished and replaced with 2 duplexes (4 units total). All proposed development will be within the current parking lot/building area and the setbacks will all be within the zoning regulations of the base zones. Proposal is for new construction of a four story apartment building which will be approximately 69,500 SF with 76 dwelling units and a new 21 stall surface parking lot. 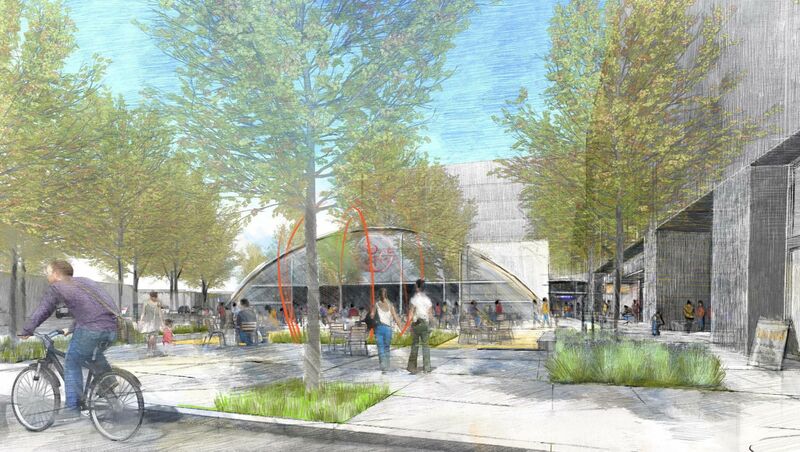 The applicant plans to meet community design standards. STR 01 – Structure for a new 4-story building (South Building) of mass timber construction built on top of an existing 3-story parking garage. Work includes steel buckling-restrained braced frames, elevator, and stairs at the core of the new building and an OSSC seismic upgrade of the existing parking garage. The existing parking garage also supports two existing buildings (E & F) and is structurally connected to the garage being built to the north under permit #18-188494-STR-01-CO.
A building permit was issued for the renovation of the former Morehouse Glass building at 350 SE Mill St. New suites will be created in the building for small manufacturing and office users. New construction of 7-story Mixed-Use Building; 2-stories C.I.P. Post-tensioned Concrete Slabs and Columns, 5-stories wood-frame. 6 levels of Residential Units with Amenity over 1 Level of Residential Amenity and Retail. Work to the Retail will be included as part of this Permit. The Overall Buillding Height is less than 75ft. Every week, the Bureau of Development Services publishes lists of Early Assistance applications, Land Use Reviews and Building Permits processed in the previous week. We publish the highlights. This post covers September 17th to September 23rd, 2018. Proposal is for three story’s with partial basement multi-family building with 34 units. No parking. On-site UID for stormwater management. Will utilitze Community Design Standards specified within 33.218.140. Proposal is for a 24-unit multi-family project. Two 3-story buildings each with 12 units. No parking. On-site UID for stormwater management. Utilizing community design standards specified within 33.218.140. Proposal is to build a new four story mixed use building with some ground floor retail and approximately 109 units of housing with 20% of units as affordable housing. Existing building on site to be removed. 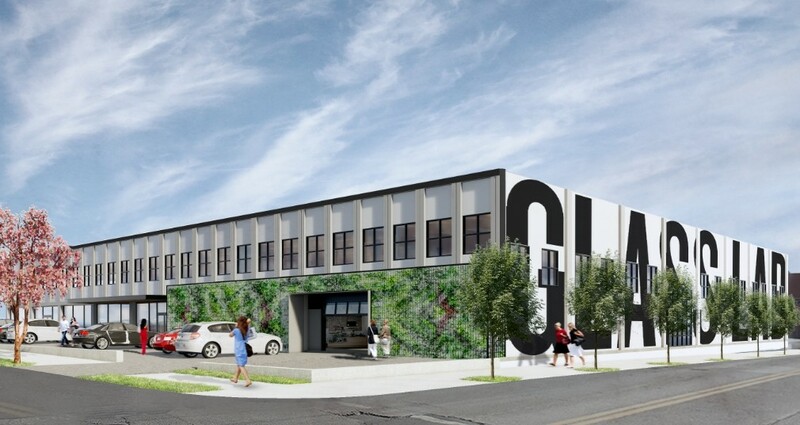 Image of one of the three new buildings by Lever Architecture’s proposed at the Adidas Campus, as seen from the corner of N Sumner and Delaware. Every week, the Bureau of Development Services publishes lists of Early Assistance applications, Land Use Reviews and Building Permits processed in the previous week. We publish the highlights. This post covers June 18th to June 24th, 2018. DESIGN HEARING – Design Advice Request for 42 dwelling units in four building with surface parking and associated site landscape elements. Stormwater will be managed on site. Demolish existing building and construct a new 4-story, 44-unit, apartment building with retail on the first floor. Pre-application conference for a proposed elementary school in David Douglas school district. Proposed new mixed use apartment complex approx 90,000 GSF with six levels of apartments above one level of retail and building amenity space. Proposal is for three new buildings, site work, right of way work, renovation to existing plaza, new landscaping and relocation of the Adidas Village arrival drive to create a cohesive intersection at N. Greeley Ave.
New construction of an eight story mixed use building with one level of underground parking. Approximately 170 apartments on levels 2-8, 5,500 SF of retail on ground floor. Amenities include a lounge, fitness, leasing, bike storage, pet area and wash.
New construction of six(story (above ground) building consisting of 90,400 SF with one level of underground parking consisting of 15,490 SF; five levels of office over ground floor retail , CLT floor system. 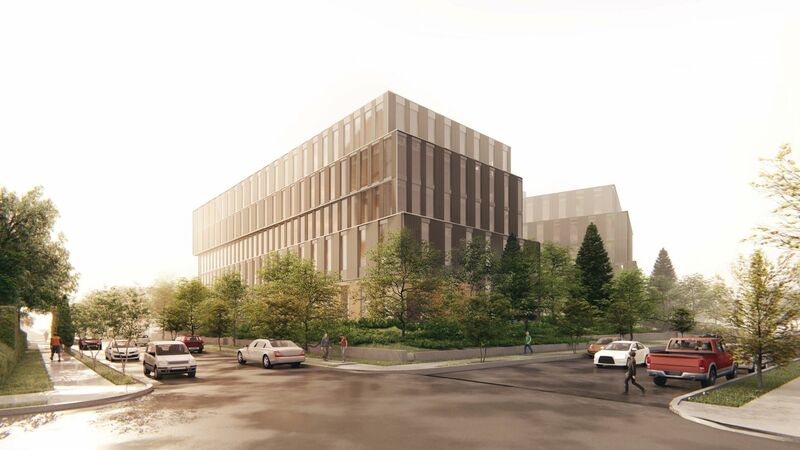 Three new buildings are planned* as part of the Adidas Campus Expansion, writes the Daily Journal of Commerce. In a two-part series, the Portland Tribune analyzed why new apartments so expensive and offered 9 ways to make apartments cheaper. The Portland Tribune reported that polling for Metro shows that voters might support a $1 billion regional affordable housing bond. The Oregonian wrote about wrote about the member of Portland’s Historic Landmarks Commission who is weighing in on a proposal at 1727 NW Hoyt St—directly across from her own house. The Portland Business Journal published photos of the “posh new furnishings and design gallery” opened by Restoration Hardware on NW 23rd Ave. The Business Tribune reported on the history of various development proposals for Old Town Chinatown Block 33. Portland for Everyone argued that the Riverplace Redevelopment was saved by the city’s affordability mandate. OPB reported on the future of the Artists Repertory Theatre, which will include selling half their site at 1515 SW Morrison St for new housing. Every week, the Bureau of Development Services publishes lists of Early Assistance applications, Land Use Reviews and Building Permits processed in the previous week. We publish the highlights. This post covers March 19th to March 25th, 2018. No zone change to this site. Proposal is for an addition of a 3-4 story office space for business growth and would be located in front of the existing office space. The first floor would be a 630SF lobby entry and includes smaller defliver truck loading and open air plaza covered by upper levels that have approx. 3780SF for each floor plate.Open air plaza accommodates the reservation for easement through the 6’0″ water easement. There is a new water/fire vault that was placed in to lawn area of site in 2015. Questions include steps taken to build over the new water/fire vault; options for stormwater disposal give flood plain and proximity to river,etc. 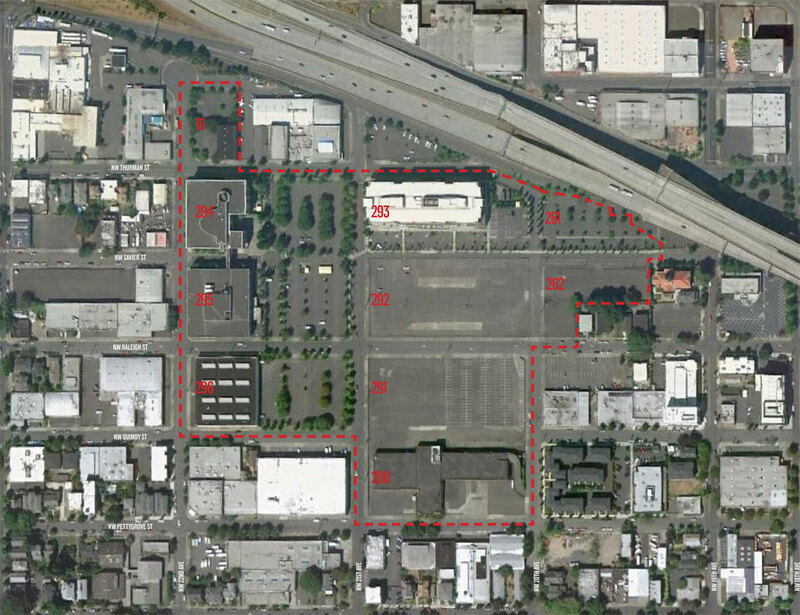 Current code: Proposal is to redevelop site with a 3-story, 120,000 sf self-storage facility with accessory office space and parking, taking access from NE Columbia Blvd. Future code info: Audobon Society of Portland is considering purchasing the lots to create a conservation-focused facility in East Portland. The facility would include environmental education activities, a wildlife hospital, offices, interpretive center, outdoor caging for wildlife and a nature store. It would also include housing staff onsite. They want to ensure that they fully understand what would be allowed at each of these properties. Current code (no change to site): Construction of new multi-family, 11 unit residential development (approximately 10,850 sq ft). The building program is arranged into two 4-story bars that step downhill along with the slope of the site. The upper bar will be 4 stories of residential and the lower bar will be 3 stories of residential over 1 level of utility, storage, and parking. Stormwater will be retained onsite with a planter at the south and a basin at the north. Infiltration is not feasible onsite due to the slope, so the planters will be piped to the combined storm/sewer pipe running beneath 11th Ave.
Current code: Redevelop site with 3-story 90,000 sf self-storage facility with accessory office space and parking, taking access from NE Halsey Street. Future code: Proposal is for a new 5-story building with retail at ground level and 4 stories of office above. Drywell stormwater system. Future Code: Block 292 West and Block 291 West in the Conway Master Plan area. Proposal is for two 6-story market rate apartment buildings with ground floor retail and basement parking. (400+ units). This proposal is for a new mixed use development building composed of 4 stories of wood frame construction with at grade parking. The building will be compromised of multi-unit residential uses on the uper levels with retail uses proposed on the ground level. The 36 residential units are a mix of studios, one bedroom and two bedroom units. New multi family apartment building with 90 units, tuck under parking, associated site work. An earlier scheme for the redevelopment of Old Town Chinatown Block 33 was presented to the Landmarks Commission in January 2017. 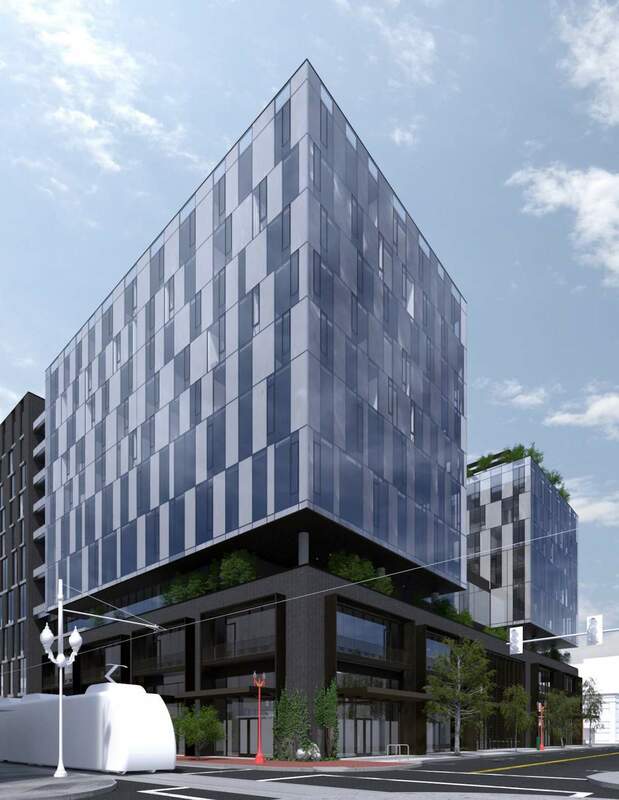 The same architecture and development team are now working on a revised proposal that would orient the mass on the western half of the block, where they are seeking an increase in allowable height. 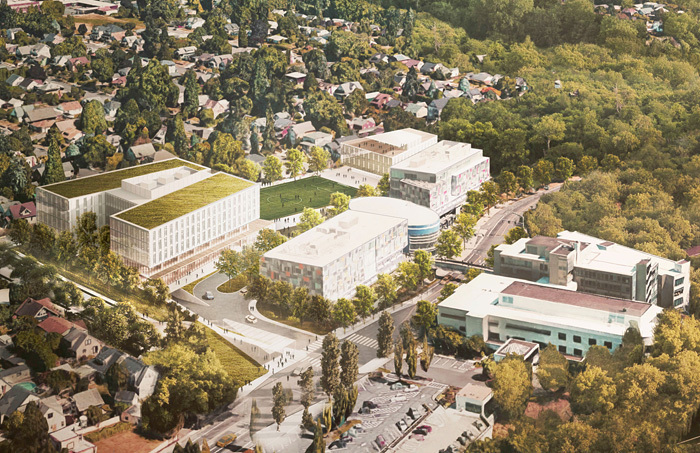 The Oregonian reported that the Adidas Campus Expansion will more than double the size of the company’s North American headquarters. The Daily Journal of Commerce wrote about the public forum where the three developers* who are vying for the Broadway Corridor Development Opportunity introduced themselves. The Related Companies, Continuum Partners and McWhinney are competing to be chosen as the master developer for the 32-acre site. Portland City Commissioner Chloe Eudaly reversed her vote on height increases at the waterfront. The change will allow the Riverplace Redevelopment to move forward. The Oregonian wrote about the debate at City Council over whether heights should be increased on Old Town Chinatown Block 33. City Observatory published an open letter on housing affordability to Portland City Commissioner Nick Fish, written by Portland State University Emeritus Professor Ethan Seltzer. An editorial in the Oregonian argued that the Portland City Council needs to reset its compass. The Oregonian reported on high-rise apartment units rented as hotel rooms, including at The NV, Block 17 and Park Avenue West. Portland Architecture interviewed GBD Architects’ Kyle Andersen & Phil Beyl about the firm’s 50 LEED projects (and counting). A guest editorial in the Oregonian, written by Mark Edlen and Denis Hayes, argued that wood skyscrapers are coming and should be built with Forest Stewardship Council certified wood. The Skanner News broke the news that the Meyer Memorial Trust, the state’s second largest foundation, plans to build a new headquarters at N Vancouver and Tillamook. The Portland City Council voted to approve a tax break for the developments that voluntarily choose to include affordable housing, writes the Oregonian.